Anybody got wheat? I got two logs! Catan can be a very frustrating game sometimes. 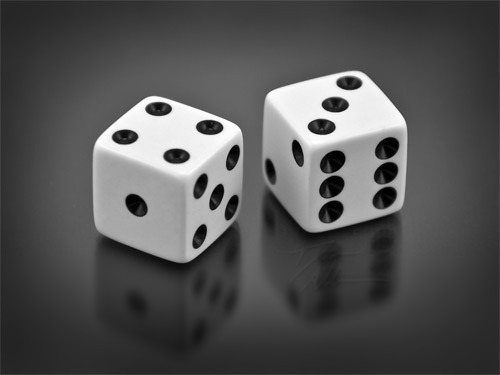 Despite the statistics and probabilities, sometimes the dice keep popping up with numbers that aren’t yours, even if your numbers are quite good. When that happens, you can’t collect resources, and that makes it very hard to build, expand, and sometimes play. And yet, somehow Catan works. I’ve noticed that despite this seeming flaw, if you know what you’re doing (and sometimes even when you don’t) you can end any standard game with about 7 points, which is not too shabby. And sometimes when you end less than that, you had 8 or 9 with a long road or large army until someone else stole it away for the win. A couple weeks ago I played Catan with some good buddies. We played twice – first the normal Settlers, then Cities&Knights. I’m happy to say that I won the first game (unfortunately my Nemesis was not present to shame), and I did it in an unusual way. Most of the time the winner has either the longest road or the largest army, but I had neither. Instead, I had 3 cities and 4 settlements. I was spread quite sporadically across the map (incidentally, I think the lowest score was 8). I also remember spending a significant portion of the game agonizing over rolls that missed my numbers. Then it hit me; what makes Catan so playable, what makes it an award-winner, a longtime classic. It’s got amazing balance, and beyond that, scarcity. And scarcity done well. Well lets look at how the game works. You start with 2 points. You have 5 settlements, each worth 1 point. If you have all 5 settlements built, you have 5 points, and you can’t build anymore. You can upgrade settlements into cities, but then you can only build 4 cities – that’s 8 points, and that 5th settlement brings it up to 9. Still not a win. And, of course, to even be able to build those settlements, you have to build the roads to get to open spaces, and watch out for other players blocking you. Oh, those roads. Worthless alone, but if you build enough of them, you get 2 points for longest road. That turns 4 cities into a win… of course, if you don’t already have those 8 points, those 2 road points can disappear so easily. Just like the largest army. The trick here is that you have to use all of your resources. Not just 1 or 2. Roads require one set of resources… settlements, the same with additional requirements. Cities and special cards carry an alternate, but overlapping requirement. What does this mean? Well, it means if the same number gets rolled every time, one or two resources pile up, but never all 5. It’s impossible. Those numbers that never get rolled, create scarcity. Scarcity increases the power of any player that possesses that which is scarce. The game balances itself. A player who gains 2 logs every turn eventually needs ore, or brick. They either have to trade with other players – who, knowing how much wood is available and how little ore is on the table, will demand a high price. Its either that or trade 4 or 3 to 1 to the bank, which means all those rolls are cut into fractions. The game balances itself. A player not getting rolls can recoup a bit simply by trading his resources for greater quantities of what the other players have. Their scarcity is power. Another factor is the robber. 7 is the most likely number to be rolled. This number is wisely assigned not to any resource hex, but to a nameless, dangerous robber, who not only allows someone a chance to block that high-powered hex, but it creates a bigger risk. Any player who holds on to a large number of resource cards – whose numbers are rolled more often – has incentive to keep his hand low. If he can’t spend, he must trade – either high prices to the bank, or offering other players good deals. A player can’t win by pouring all their eggs in one basket. If they want to win by building, they have to expand as wide as possible, often not in a straight line, keeping them from the longest road. They must spend their rocks and wheats on cities and not bonus cards. If they want to win with longest road, they have to find a path to stay ahead of the other players. If they want a large army or extra victory points, they have to invest in super secret cards, which draw resources from potential settlements or cities, but again even all the victory point cards and the largest army wont get them all the way. Settlers stretches every player. It pulls back players who surge ahead, it offers opportunity and balance to the players with those lesser rolled, and thus more rare, resources. It’s a balance rarely seen and hard to do so well. But Catan does it incredibly well. It does it so sneakily you hardly even notice it. So next time you’re playing Catan and you’re suffering through a series of harsh rolls that are not going your way, just be patient. You’ll get some cards eventually. Use them well and you will end strong, even if you can’t pull off a win. Ed. note: I realize I ignored elements like 2:1 harbors, but those are for specific resources. They rarely shift the balance extremely off, since you have to have that specific resource, which is often as rare as the next resource. In the rare cases when a 2:1 resource is piling up, the game usually ends pretty quickly, easing everyone elses suffering. Previous ArticleIt’s a Christmas gift list! Next Article Merry Christmas, World! Wolfie, well stated, but shouldn’t you have utilized the actual name of the Development Cards, as the English rules clearly identify them? I have an upcoming post about such things, duane. wait for it. I think the most important aspect of Catan isn’t the balancing of the static elements, but of the wild-card like trading aspect. When players are allowed to adapt their play based off of the cooperation and competition with other players, it adds a whole level of depth and balance to the world. A player missing key resources or numbers can compensate with good offers. Everything you talked about is true, but during play it almost all seems supplementary to trading. A skilled player/trader can even use their position on the board as leverage to get better offers sometimes. And what’s this junk about all your eggs in one basket rock-boy? @Amateria, while I agree that the Trading is a significant part of the game and what makes it fun, Trading is a part of the balance (I have a few lines in there about that.) Because you have to invest in all resources, you essentially have to trade to win. If I could trade, but I could also win by building only roads and had a good supply of brick and logs, I would never need to trade. Instead, I need to obtain all the resources. So if I choose to place my settlements on obtaining only Rock, I have to trade those rocks to get anywhere. The game is then balanced because any resource that’s popping up more than the others become less valuable in trade, while the rarities are more valuable. It creates its own miniaturized commodities market where certain items are more rare and valuable while other resources flood the market. And so players who get their numbers rolled a lot tend to have a lot of resources, but which are less valuable. This balances the game by either forcing the player to trade more cards to the other players than they’re receiving, or give up a significant number of cards to the bank. During play, I agree that there is a general player focus on Trading, but that’s essentially because the other elements take care of themselves. Those other elements are also why Trading is effective and/or necessary at all. This tightens the distribution so that it’s a lot less likely to give “unfair” results. Our group rejected this as they liked the random! As you say it’s self-balancing regardless.